Speedy! Have you changed colour? Has hoomin Mummy dyed your fur?!??!!?!? No, she wouldn't do that to you. What's the story, Speedy Bunny?! That is a good one Speedy. Have a serene and easy Sunday. Speedy, you always have fun selfies! We love that selfie handsome Speedy! MWAHHHHHHHHHHHHHHHH! 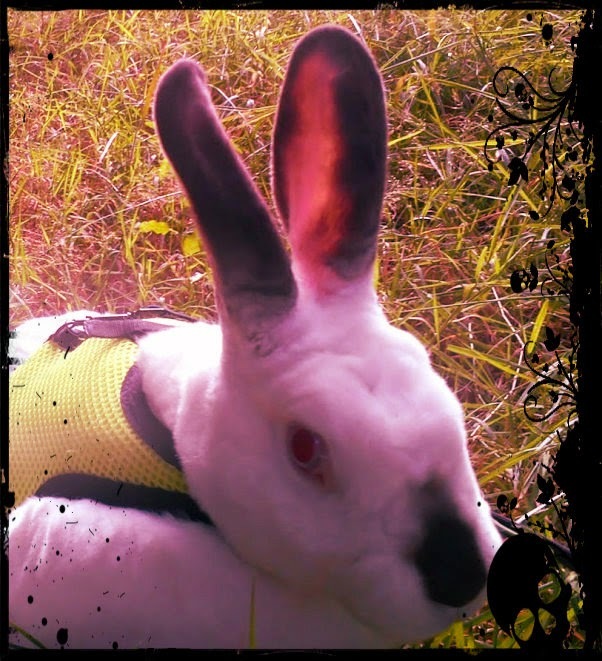 you are one scary bunny, but with a heart of pure gold. HUGS TO YOU little man! That really IS a Spookie Selfie, Speedy. Love your Selfie Speedy! Have a great Easy! Have a Nice sunday.....love Ria...x! Your usual snow-white fur is glowing a very strange color. An eerie selfie for sure. Cute Halloweeny type pic, Speedy! Did you change your color Speedy .... ? You seems to be pink. I like the sun in your ears. Love the selfie Speedy. Keep being cute! Wow Speedy, you are looking a bit spooky today!! I don't knows Speedy...you look handsome no matter what! Oh you are a spooky fellow. All this Halloween theme makes me begin to think of Snickers! Oohhh... That IS spooky. How did you make your ears do that? Did you use a special filter for your picture Speedy? It looks very atmospheric! wow you glow in the dark... that's super spooky... wait, I turn the light out and watch you in the dark... cool effect! Good job Speedy, doing that selfie. That is too cute.We like that special glow that you have. Have a great Tuesday. Twas the Night Before Halloween! Disapproving Bun Day Halloween Style! 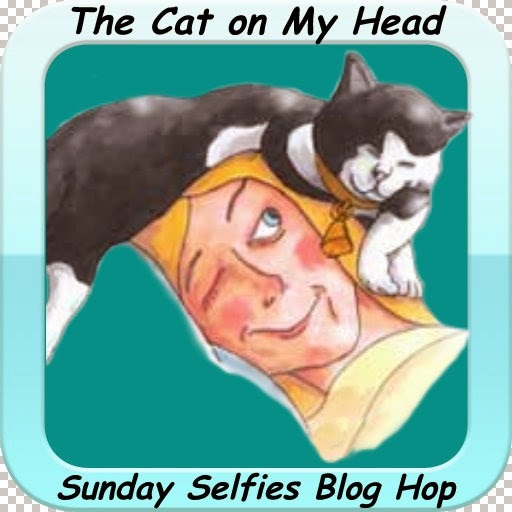 Sunday Selfie with Cat on my head! Preparation time for the Highland Games! Sunday Selfie its a cutie!